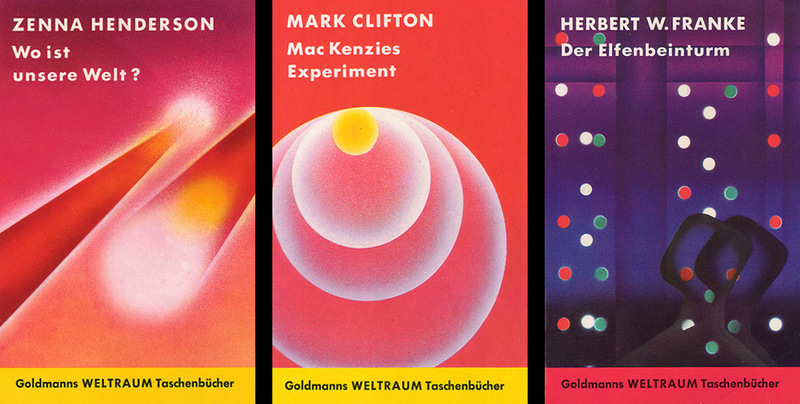 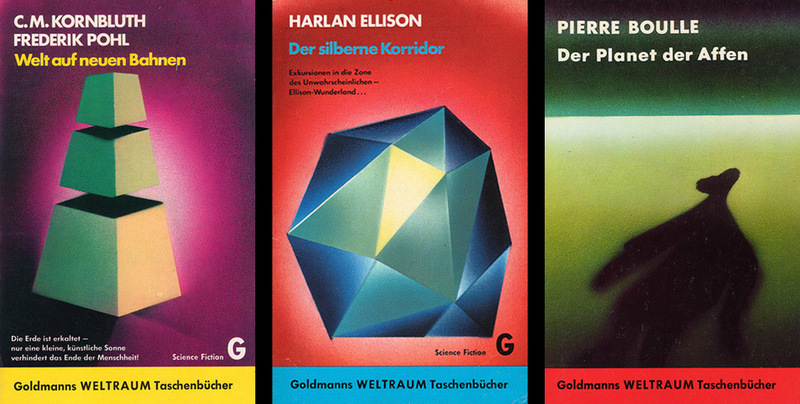 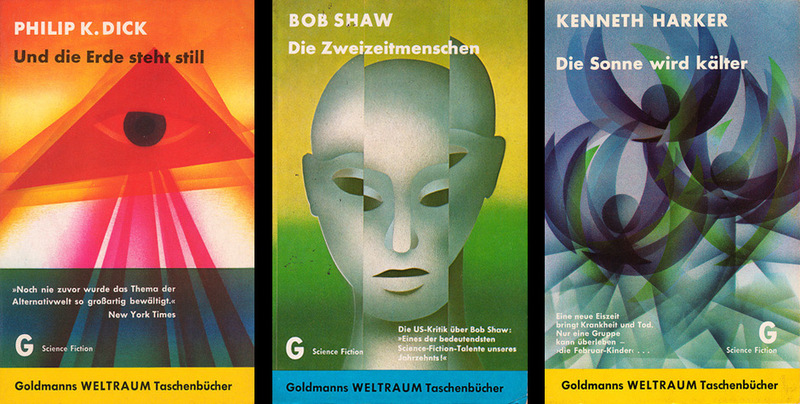 Having been a fan of Eyke Volkmer’s graphic work for the German publishing house Wilhelm Goldmann for a long time, it was no big surprise for me that a little online search found the complete cover artwork for the science fiction paperback series “Goldmanns Weltraum Taschenbuecher” in no time. 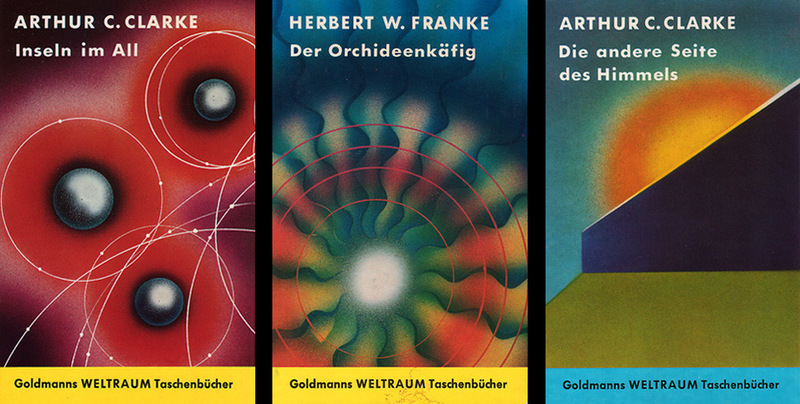 Through the very precise and lovingly work of Tommi Brem and his Houdine Nation webpage, all SF book covers of turkish born Eyke Volkmer can be watched at the link below, and even better, there’s also a book covering this work. 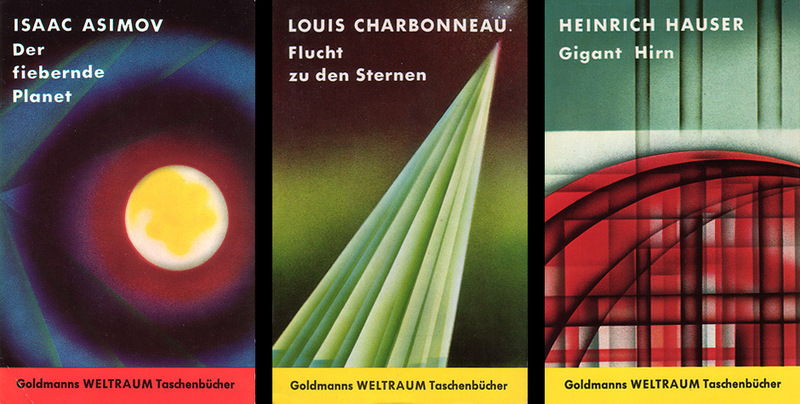 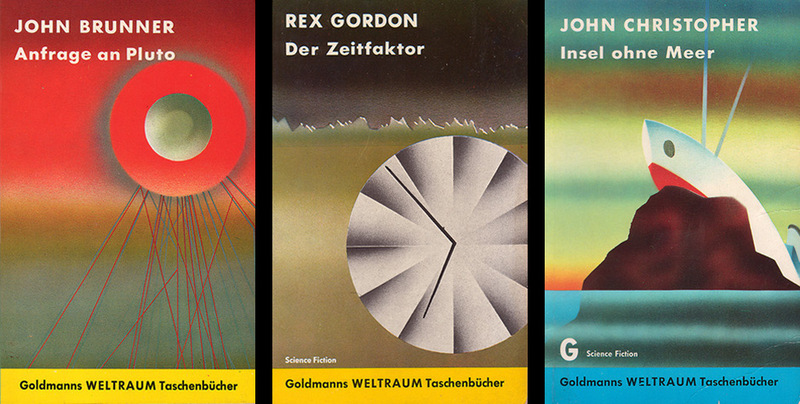 Volkmer produced 162 covers for Goldmann’s SF series during the 1960s and 70s, and most of the puristic, abstract minimal artwork still has this special modern touch that is so unique to his style. 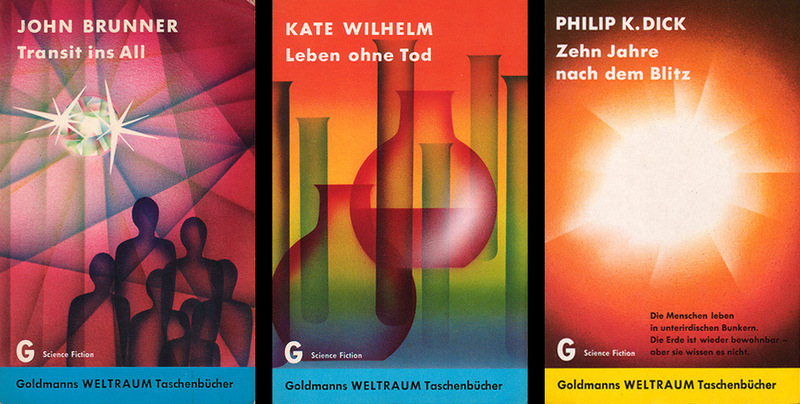 Wilhelm Goldmann himself must have known that he had a very talented man at the right place – it is delivered that he once commented on Volkmer’s work that “It doesn’t look like that in outer space.” At the same time, he encouraged Volkmer to keep on, knewing no one else was doing the same style at all.